The reign and life of King Henry VIII always provides great fodder for books, television and film, and Suzannah Dunn taps into that fascination for her novel, The May Bride. Not that Henry VIII makes much of an appearance in The May Bride - this is firmly a book about Jane Seymour and her life in the years before she went to court. When she is 15, Jane's brother brings home his new wife Katherine Filliol. Older than Jane and more wild than anyone in the Seymour family, Jane finds herself drawn into an intense friendship with Katherine which burns brightly for one summer, before fading out. Two years later, Katherine's husband makes an accusation against his wife that will change the Seymours forever, and that will inform the way Jane acts when she becomes part of the court of Catherine of Aragon. 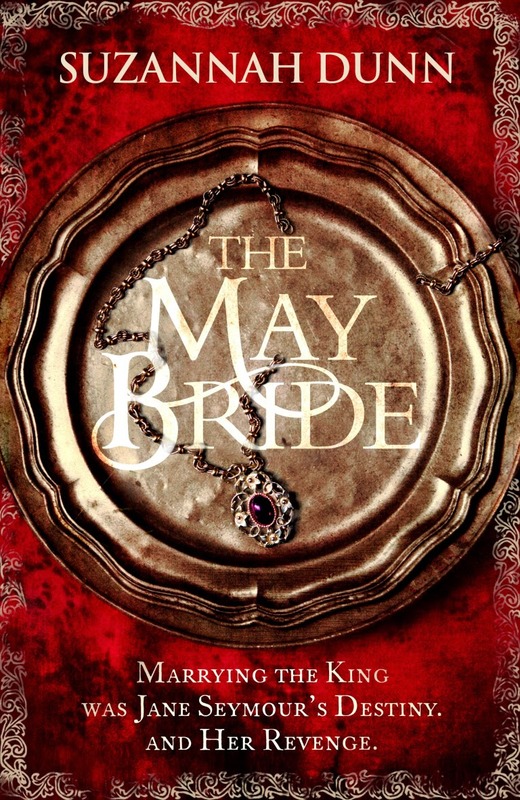 Written by an older, wiser, Jane who is about to marry Henry VIII, it is clear from the beginning of The May Bride that something truly terrible has happened to the Seymour family, and that Katherine is at the centre of whatever went wrong. From almost the very beginning of the first chapter, we see Jane blaming herself for not having seen Katherine properly. Dunn's book is not about revealing what Katherine has done as much as it is about Jane coming to terms with her role in what happened, and the guilt she feels. As the book progressed, I found myself more fascinated with Jane's actions and reactions than by finding out what Katherine's role was, perhaps partially because I could guess the gist of Katherine's deed from close to the beginning of the novel. Where Dunn's book really shines is in the portrayal of the friendship between Jane and Katherine. As an impressionable 15-year-old, Jane is enamoured with Katherine. It might be difficult for anyone living in the 21st century to imagine such a relationship forming, but it's easy to understand Jane's feelings when you consider how isolated she was and how normal the Seymours' existence was until Katherine arrived like a whirlwind. The May Bride is a slow burn book, which builds to its central revelation gradually, and then crests slowly downward, and into more familiar territory to those of us who learnt about Henry VIII's wives at school - but this is a book that puts women in the centre, and marginalises the famous king, although his relationship with Jane hangs over the entire novel. Dunn gives a voice to Jane, and, although we never hear from her directly, to Katherine as well, who despite her bravery and brightness is the person most without a voice in the novel. Dunn's novel is all fiction, but it's based on real events, and is an interesting take and filling of the gaps on a story we think we know the most important part of. Reading The May Bride made me realise that it wasn't Jane's marriage to Henry that was fascinating, it was her past that made her the woman she was. How I got this book: From the publisher, Little, Brown. This did not affect my review.